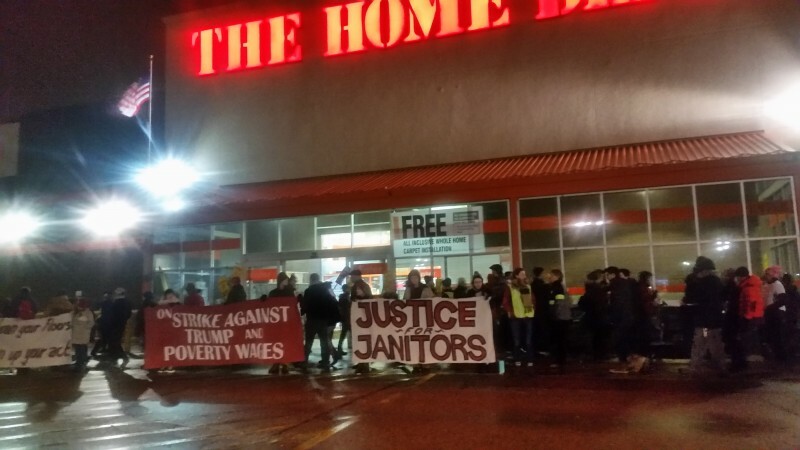 Twin Cites Home Depot janitors strike against poverty wages, Trump | Fight Back! Minneapolis, MN – Hundreds of people were on the picket line at 6 a.m. Jan. 20, in front of Home Depot in northeast Minneapolis to support striking janitors, who are standing up to low wages and Trump’s anti-worker agenda. Protests and marches coinciding with Trump’s inauguration are taking place across the U.S.
A massive anti-Trump protest will take place at 5 p.m., Jan. 20, at the Minneapolis City Hall.